This review first ran in the July 30th edition of The Hamilton Spectator. A quick look at the books for the Hamilton Waterfront Trust shows there’s a big problem. The Waterfront Trust needs to spend a lot more money on advertising. Last year’s ad buy was a meager $37,000 for seven Trust-run businesses with combined revenues of more than $2 million. Eight out of every 10 ad dollars went to the Hamilton Harbour Queen. For those of you not in the know, that’s a boat and not the winner of a nautical beauty pageant. The Waterfront Trust can’t cost-cut its way to financial sustainable. Revenues need to grow. That means more of us need to spend more of our money at the water’s edge. But we won’t go if we don’t know what’s there. Not only does the Trust’s brain trust need to double down on its ad buy. They need to invest in social media and build a bigger and better platform beyond a website that has all the charm and personality of an instruction manual. 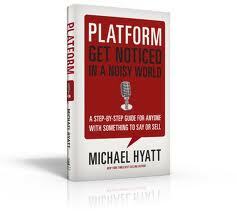 “A platform is the thing you have to stand on to get heard,” says author and social media expert Michael Hyatt, who has more than 400,000 monthly visitors to his website and 50,000 subscribers to his daily blog posts. “It’s your stage. Today’s platform is not build of wood or concrete or perched on a grassy hill. Today’s platform is built of people. Contacts. Connections. Followers. “In today’s business environment, you need two things: a compelling product and a significant platform.” Hyatt says business competition has never been greater and consumers are more distracted than ever before. Social media makes up the main planks in your platform. These planks include Twitter, Facebook, Flickr, Pinterest, YouTube, blogs and websites. Taken together, social media gives you a platform to start and join conversations. Share ideas. Champion a cause. Lead the charge. Offer solutions. And build an ever-expanding tribe of raving fans and loyal followers. An engaged tribe will sing your praises to family and friends, fans and followers both online and off. They’ll happily offer up testimonials and endorsements. They’ll share their stories and experiences. They’ll shoot videos, take photos and create some amazing social media content that casts you in favourable light. The Waterfront Trust has a real wow at the water’s edge. With the right social media platform, the Trust could easily connect and engage with a pretty passionate tribe. A tribe who’s looking for a safe and scenic place to run, walk and bike. To entertain in-laws and impress out-of-town guests. To go on dates. To get the kids unplugged from their iPads and Playstations and connected with the outdoors and. To throw cool parties, events and offsite retreats. And to foster an even greater sense of community and civic pride. @jayrobb works and lives in #HamOnt and blogs at jayrobb.me. Why should I care? Why should our readers, listeners and viewers care about the story you’re pitching? What problem are you solving? What opportunity are you creating? How you are making our lives easier and our community a better place to call home? Why now? Why are you pitching this story now? And why should we cover it now? Do you have an upcoming event, announcement, product launch? Are you responding to something that’s already in the news and top of mind with our audience? The better your answers to WSIC and why now, the less likely the reporter will ask WTF. Serve up answers that are clear, compelling and concise. Don’t make reporters dig, wait or wonder. If that happens, odds are good they’ll take a pass on your pitch and move on to the next story idea. I met with Elizabeth this morning. Elizabeth is a freshly minted grad from Sheridan College’s postgraduate public relations program. We’d never met before. But I know the person who suggested Elizabeth pay a visit. So we got together for an informational interview. I was doing informational interviews 19 years ago. Like Elizabeth, I was a recent grad. I too was job hunting at a time when the economy wasn’t exactly booming. I applied to every job in the classifieds and fired off unsolicited resumes to more than 100 employers. This kept me busy. I built up an impressive collection of rejection letters. But it wasn’t getting me a job. So I started booking informational interviews with senior PR professionals. For 20 minutes, I asked questions. What did they like most about their jobs? What was the biggest challenge? 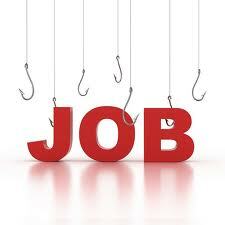 What skills do they look for in new hires? What advice would they give to recent grads? I never asked if they’d hire me. And I always sent a thank you note. One of the people I met with posted a job a month later. I applied. The manager remembered me from our informational interview. He liked my initiative and sense of humour. I landed the gig that launched my career. Informational interviews aren’t just good for job seekers. They answer the one question all employers ask. Could I see myself spending 8 hours a day working with this person? Would they be a joy or a pain? Would they be a problem solver or a problem child? Would they make my life easier or more stressful? Are they firmly grounded or have they cut the tether to reality? Now,the person you meet with may not be hiring anytime soon. But odds are they have a colleague at another organization who is. And that colleague is open to endorsements and recommendations because they too want to make a low-risk, drama-free hire. So…have you ever done informational interviews? Did it work for you? And what was the best question you asked during your interviews? 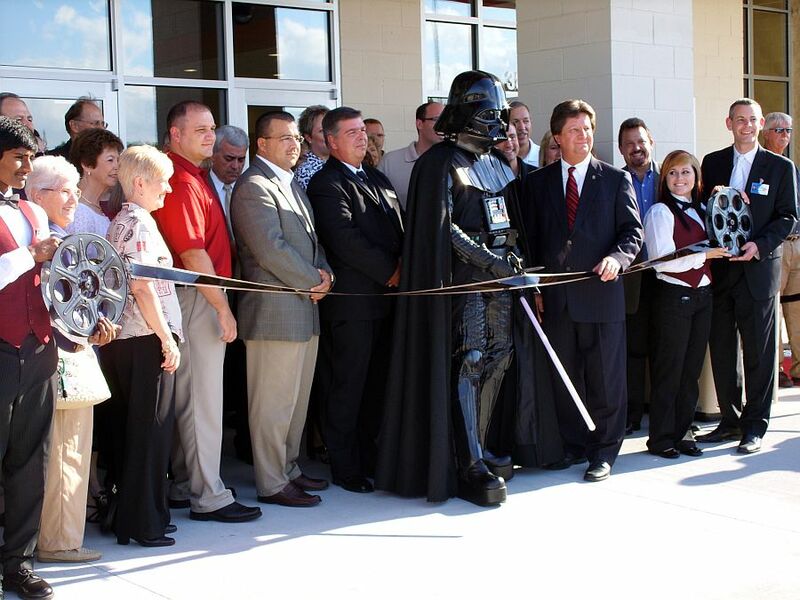 The always popular ribbon cutting ceremony, even with some guy in a Darth Vader costume with a light sabre, just isn’t news. There’s no question your organization does amazing, worthy work. But don’t confuse worthy with newsworthy. Yes, it’s great that you’re moving into a new home or a bigger place. Or that you got a major donation and you’re looking to raise a pile of cash for a big community project. But groundbreakings, ribbon cuttings, giant fake cheque presentations and your latest fund-a-thon aren’t news. If you’re really lucky, you might get coverage on a very, very slow news day. But don’t bank on it. Some media outlets have policies against running grip-and-grin cheque presentation photos or covering a dozen people in suits and hardhats pretending to dig a hole in the ground. By all means, do these events to warm the hearts of your donors, Board members and senior management team. But just don’t count on much, if any, media coverage. And if you do manage to get coverage, will anyone but you actually care? Jane Allison, the pretty remarkable Manager of Community Partnerships with The Hamilton Spectator, and I are more than happy to share our media relations summer camp gameplan with other communities that are looking to bring nonprofits & local media together. Nearly two dozen campers from 13 community building organizations in Greater Hamilton got the chance to share their stories during during Media Relations Summer Camp 2012 on July 10 and 12 at The Hamilton Spectator. The camp was offered free-of-charge by The Hamilton Spectator to thank local groups and organizations that are making Hamilton an even better place to call home. The idea for Media Relations Summer Camp came out of a Hamilton Roundtable for Poverty Reduction community event a few years ago. During the event, more than 60 nonprofits and community groups prepared posters outlining how they were making Hamilton the best place to raise a child. Those posters showcased a ton of great stories that were just waiting to be told. Further inspiration came courtesy of the Community Media Workshop. Since 1989, the Chicago-based Community Media Workshop has worked to diversify the voices in news and public debates by providing a unique mix of communications coaching for grassroots, arts and other nonprofit organizations and sourcing grassroots and community news for journalists. In connecting the community with media, the Workshop promotes news that matters. Here in Hamilton, the Media Relations Summer Camp gives community builders a unique, hands-on opportunity to polish, practice and pitch stories to reporters, columnists and editors with The Hamilton Spectator. Media Relations 101: Campers got a primer in what stories not to pitch (avoid groundbreakings, ribbon-cuttings and giant cheque presentations) and better stories to tell (focus on how their organizations create solutions, provide opportunities and build hope, resilience and prosperity). Campers also learned how to pitch (build around a person, send a clear, concise email and make it as easy as possible for the media to tell your story). Campers also got the details on The Hamilton Spectator's ongoing Young Professionals profiles of business and community leaders who are under 40 years of age. The media relations primer was posted on SlideShare and also to Dropbox, along with the Young Professionals overview, tips on how to write an op-ed, media contacts in Greater Hamilton and 100 tips for effective media relations. Campers spent the afternoon polishing their pitches with our camp counselors. Two counselors worked with 2-3 campers reviewing and strengthening their story ideas. Conversations and key points from the day were captured on the #mediacamp Twitter hashtag. Campers first practiced their pitches to our panel of counselors who offered constructive feedback. Each camper stood before the panel and talked about their story ideas. Campers pitched the one story they'd most like to see on the front page of The Hamilton Spectator. Editorial Writer and Letters Editor Lee Prokaska-Curtis dropped in and gave campers an overview of how to submit both letters to the editor and opinion pieces and how to book meetings with The Hamilton Spectator's editorial board. Campers got a 2-hour primer on social media courtesy of Chris Farias with kitestring. Chris demystified social media by walking the campers through Facebook, FourSquare, Twitter, Pinterest and blogs. On Friday, a survey went out to the campers courtesy of Survey Monkey. One camper suggested that pitches be submitted by email, with the media panel then asking follow-up questions and offering feedback. "I cannot say enough good things about the Media Relations Summer Camp. First let me say thank you for picking our organization to be part of this year's camp. This experience so exceeded my expectations. The information you shared was right on the money. This was exactly what we needed to dramatically improve our dealings with the media and, ultimately, the amoung of ink and airtime we might be able to generate in the future. I hope you smile in the future when you hear and see more about our organization in the weeks and months ahead." — A happy camper.